New Vauxhall Crossland X & Renault Captur vs Suzuki Vitara | What Car? 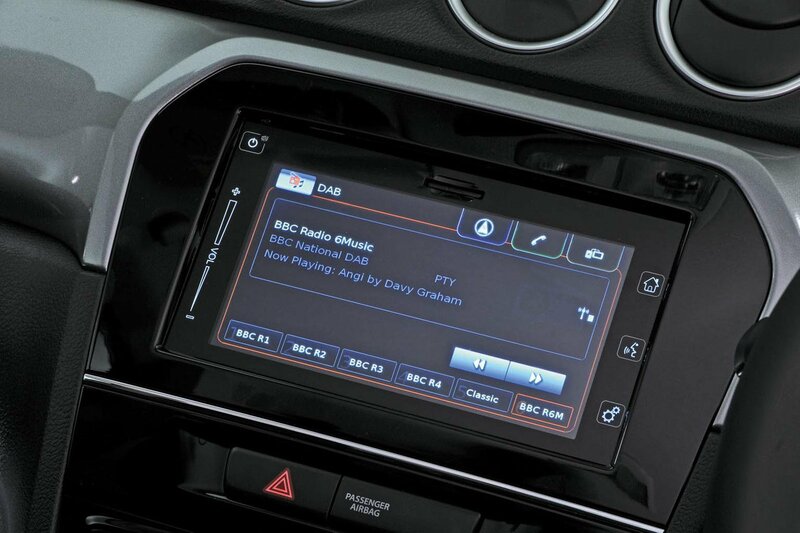 Dynamique Nav gets a 7.0in touchscreen system as standard with DAB radio, Bluetooth and sat-nav, plus USB and aux ports. Our test car had the upgraded R-Link system that’s the same size but adds improved navigation, Android Auto connectivity and a better stereo. The icons are a decent size, but some menus can be confusing; changing media source can be a chore, for instance. We’d save our money. 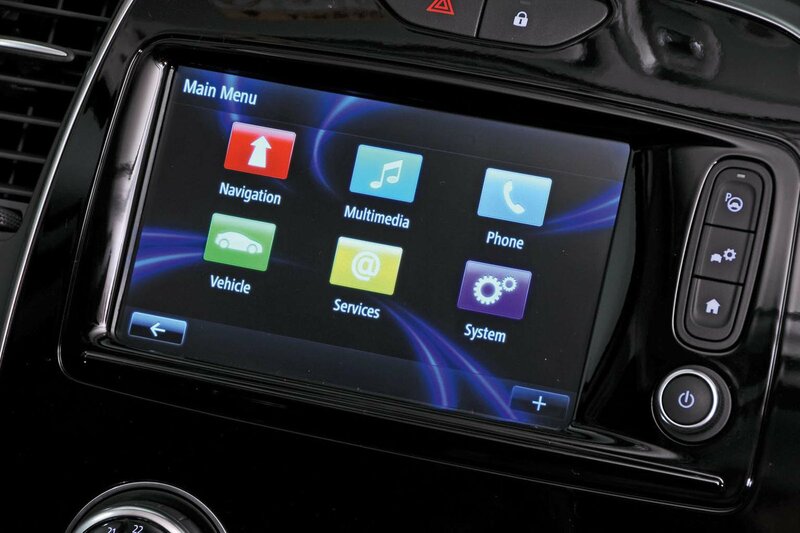 Opt for the SZ-T trim and you’ll get a 7.0in touchscreen with smartphone integration through Apple CarPlay and MirrorLink, satellite navigation, DAB radio, Bluetooth and a USB port. It’s a responsive enough system, but some of the icons are too small to hit accurately on the move. Some menus are also a bit confusing and the system looks distinctly aftermarket in its appearance. 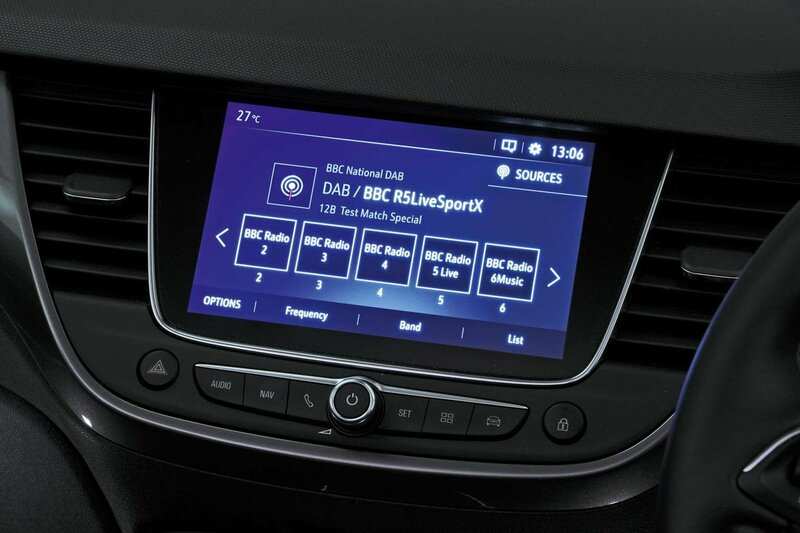 It may be called IntelliLink, Vauxhall’s infotainment name, but this is a Peugeot system in a Vauxhall costume. That means you get an 8.0in touchscreen with Apple CarPlay and Android Auto, sat-nav with European mapping, Bluetooth and a USB connection. It’s modern-looking and the large icons make it easy to operate. It’s also the only car here that’s available with wireless charging for smartphones.